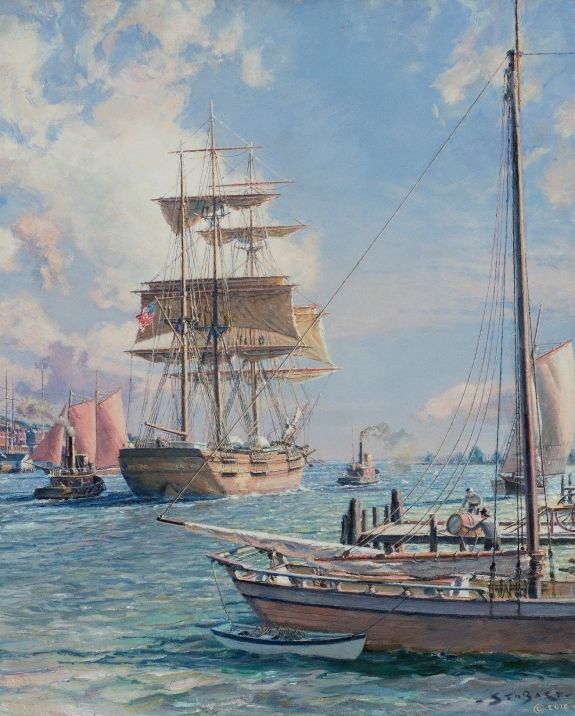 John Stobart (B. 1929) New York Shipping on the East River. Oil on canvas, 20 x 16 inches. Signed and dated 2015. Offered by Rehs Galleries. The Baltimore Art, Antique & Jewelry Show may be celebrating its thirty-sixth year, but that doesn’t mean innovation has fallen by the wayside. Held August 25-28, 2016, at the Baltimore Convention Center, this year’s fair will feature an exciting new fine craft component. The Baltimore Fine Craft Show, collocated with the Baltimore Art, Antique & Jewelry Show, will feature spectacular, one-of-a-kind objects, including jewelry, ceramics, and sculpture, from a juried exhibition of artists.